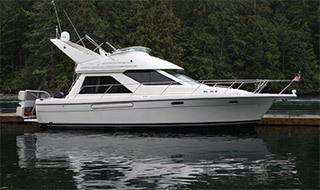 A dream come true for the cruising yachtsman are Desolation Sound and Princess Louisa Inlet. Beyond the "Sunshine Coast" is a majestic forested land accented by cascading waterfalls and giant glacial peaks. Nature abounds here. Encounter soaring Bald Eagles, inquisitive Harbor Seals and Orca Whales, whose knife-like dorsal fins suddenly break the water's surface and disappear. Visit this wondrous land with its most interesting and beautiful protected anchorages... you'll be glad you did. 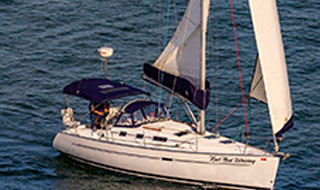 Depart for Friday Harbor, one of the most popular tourist destinations. This island community is on of the best spots for shopping and dining ashore. 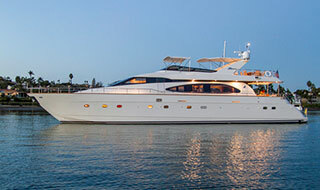 The port offers transient moorage for 130 yachts. Pirates Cove, one of the Gulf Islands most popular provincial parks, is located on De Courcy Island. The outdoor enthusiast will enjoy the variety of activities such as hiking, kayaking and beachcoming. Here is even a good place to jump in the water. At the north end of the Gulf Islands is Nanaimo. The anchorage at neighboring Newcastle Island is a nice historical place to tie up and explore the trails crisscrossing the island. Across the straits you will find and area known as the "Sunshine Coast". This region receives more annual sunshine than anywhere else in British Columbia. Pender Harbour will provide many tranquil anchorages and your last chance to fuel or pick up supplies before Princess Louisa Inlet. At the base of Jervis Inlet is Ballet Bay. This convenient anchorage was supposedly named by a ballerina who felt that the motion of the water was like a dance. You will find Savary Bay idyllic. This island is almost tropical in appearance due the the ring of uncrowded sandy beaches that surround it. The water tenperature here can be 80 degrees. Beautiful Cortes Bay gives you several options. The government float provides 520 feet of berthage or you can anchor out and send the crew ashore to go blackberry picking. One of the most popular anchorages in Desolation Sound is Squirrel Cove. This is a good spot to practice your "Med" Moor. Plan on one anchor deep and stern to a tree. Prideaux Haven is one of the most scenic and unique anchorages found anywhere! Stop early to allow sufficient time to explore the numerous coves and passages with the dinghy. Clover leaf shaped Smugglers Cove is just off of the Welcome Passage. You will find rings have been set into the rock surrounding the anchorage to help make stern ties easy. The BC ferries will help you locate Porlier Pass. On your protected run, cruise along the western shore of Galiano Island, and you'll find Montaque Harbour. A short walk from the marina is beautiful Montaque Marine Park. Back across the border to scenic Roche Harbor Resort on San Juan Island. 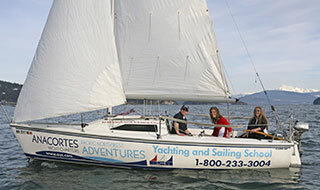 Leave early the next morning as you cruise through the heart of the San Juan Islands, across Rosario Strait and back to Anacortes Yacht Charters to conclude the vacation of a lifetime. At least until next year!